Description: In an alternate universe, Mata Nui rules overtly over his domain. 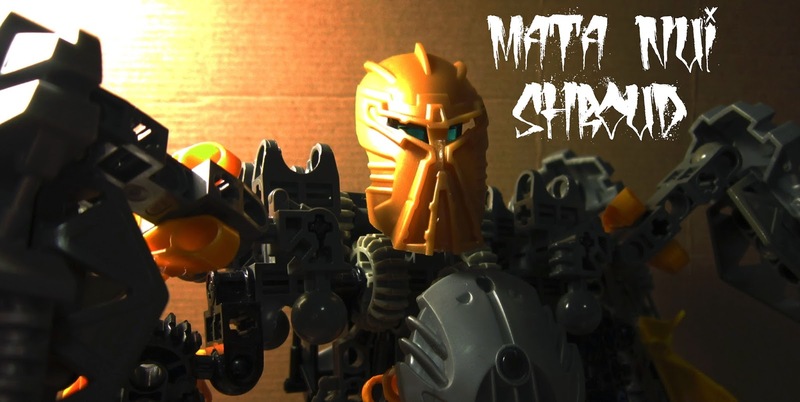 Revered by all and without match, Mata Nui is the ultimate being of the universe. Comments: This MOC was done in July 2014. My initial idea came from a certain Gundam UC Mobile suit (no prizes for guessing which one it is!). After seeing how I had four yellow shield pieces from the knockoff Toa Mata Nui I reviewed quite a while back, I've always wanted to make a MOC like the Kshatriya. The binders in the end proved to be a little short to achieve the same effect, so it morphed into Mata Nui Shroud. And yes, Mata Nui is a FRIEND of Tuma!